With thousands of news releases published each week, it can be difficult to keep up with everything on PR Newswire for Journalists. Here are some of this week’s most newsworthy releases you might have missed. Members of the media can sign up for PR Newswire for Journalists at prnmedia.prnewswire.com. Customize your profile to get the news releases you want before they make headlines. It’s free and takes only a few moments. The Labrador Retriever has done it again. 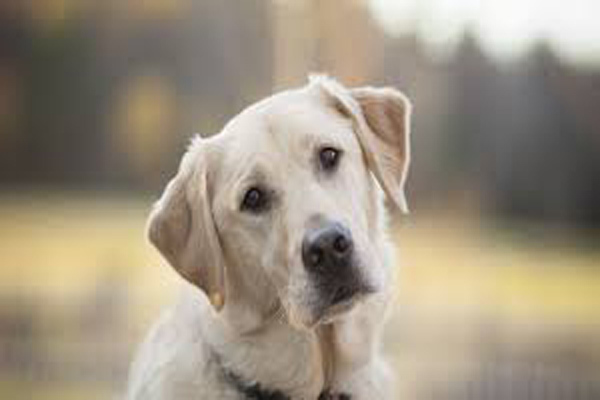 The American Kennel Club (AKC) announced on Feb. 26 that the intelligent, family friendly breed holds tight to the number one spot on the most popular list for the 24th consecutive year, continuing the longest reign as the nation’s top dog in AKC history. While the Lab holds strong, the Bulldog has quietly crept up the list, landing this year at number four for the first time – its highest ranking in breed history. This gentle breed makes an excellent family companion with a natural tendency to form strong bonds with kids, an easy-to-care-for coat and minimal exercise needs. See the full release to see what other breeds made the list. Want to make sure you don’t miss releases like this? Sign up for PR Newswire for Journalists and create a free profile to have releases emailed to you about pets, animals and other topics you cover. Get started now. U.S. wine exports, 90% from California, reached $1.49 billion in winery revenues in 2014, the second highest dollar value for U.S. wine exports and a 64% increase from five years ago. Challenged by a strong dollar and the West Coast port slowdown that began last July, U.S. wine exports were slightly down compared to the previous year while volume was up to 442.7 million liters or 49.2 million cases. See the full release to learn more. Interested in receiving more wine, beer and spirits news like this? Sign up for PR Newswire for Journalists and create a free profile to get releases sent to you by email on the topics you cover. Get started now. 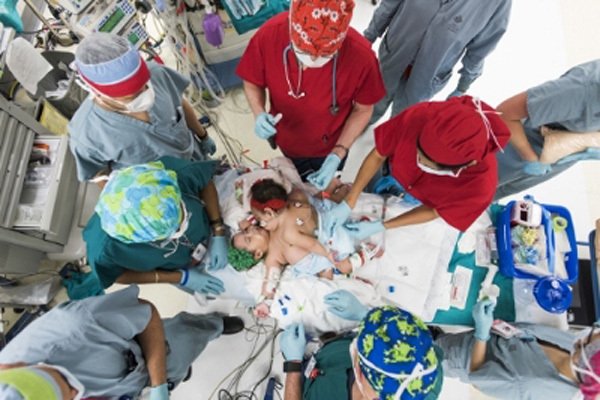 Knatalye Hope and Adeline Faith Mata, conjoined twin girls born at Texas Children’s Pavilion for Women in April 2014, underwent a successful separation surgery on Feb. 17 at Texas Children’s Hospital. A team of more than 26 clinicians including 12 surgeons, six anesthesiologists and eight surgical nurses, among others, worked together to separate the girls who shared a chest wall, lungs, pericardial sac (the lining of the heart), diaphragm, liver, intestines, colon and pelvis. During the complex surgery, the team worked for approximately 23 hours on Knatalye and 26 hours on Adeline with the official separation occurring approximately 18 hours into the surgery. Among the surgical subspecialties involved were pediatric surgery, plastic surgery, cardiovascular surgery, urology, liver transplant surgery, orthopedic surgery and pediatric gynecology. See the full release to learn more about the operation. Don’t miss other medical and children-related news like this. Sign up for PR Newswire for Journalists and create a free profile to get releases sent to you by email on the topics you cover. Get started now. While census figures can provide insights on the divorce rate in the U.S., its fluctuations don’t tell us how Americans actually feel about divorce. When asked to gauge the opinions of their fellow Americans, nine in ten U.S. adults (88%) estimate that Americans believe divorce is acceptable. However, when asked about their own personal feelings on the matter, only 58% of Americans say they themselves believe it’s acceptable. This disconnect is even more apparent when considering that 55% said Americans in general believe divorce is “very” acceptable, but less than half that (27%) actually feel that way. In addition, as some might expect, those who describe themselves as religious are less likely to find divorce acceptable than those who do not see themselves this way (52% vs. 68%, respectively). See the full release to learn more about the findings. Want to make sure you don’t miss releases like this? Sign up for PR Newswire for Journalists and create a free profile to have releases emailed to you about polls, marriage or other topics you cover. Get started now. 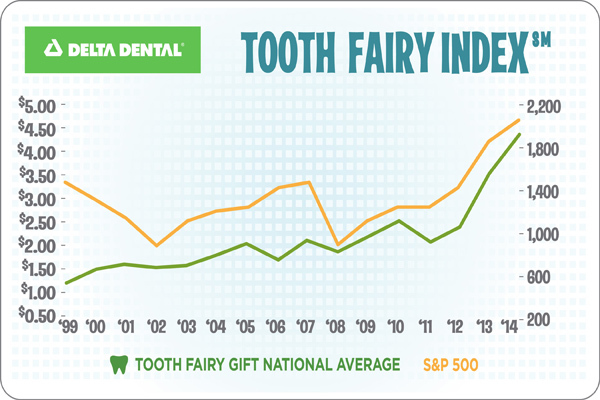 Kids are benefiting from the recovering U.S. economy, with the average gift from the Tooth Fairy reaching a new high of $4.36 last year, up from $3.50 in 2013, according to Delta Dental’s The Original Tooth Fairy Poll. In 2014, the Tooth Fairy left a staggering $255 million for lost teeth based on Delta Dental estimates. See the full release to learn more. Interested in receiving more dentistry news like this? Sign up for PR Newswire for Journalists and create a free profile to receive releases by email on the topics you cover. Get started now.